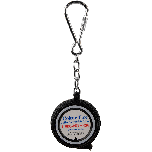 Keychain Souvenirs make great gifts and stocking stuffers for collectors, enthusiasts and children. 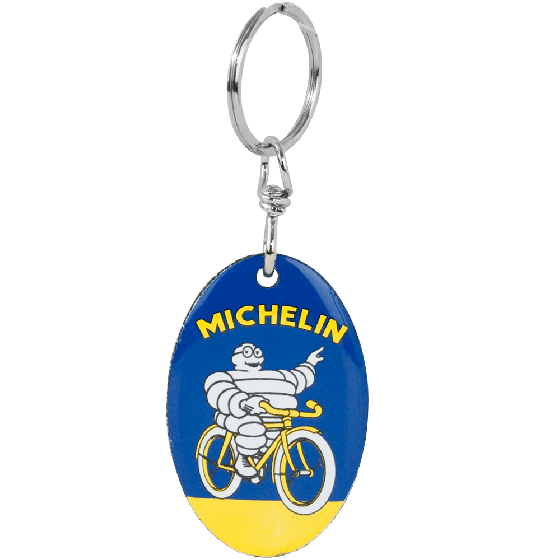 This collectible keychain features the original Michelin advertising artwork “Mr. Bib Riding Bicycle“. 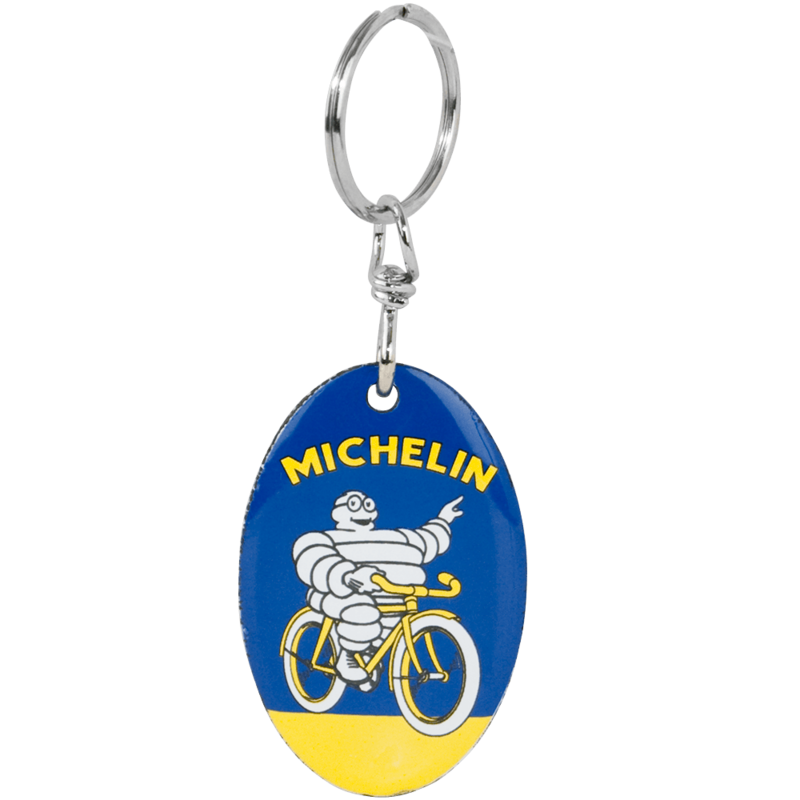 This vintage looking tire keychain is one of a kind with Mr. Bibendum riding his bicycle on white Michelin tyres. Size (including chain) 1.4"" x 3.8""